In the spirit of helping others on their journey into minimalism, I’ll help declutter your desktop. I eliminated everything I don’t frequently use, and I added a very simple desktop background. I also hid my dock, so now it pops up only when my cursor reaches the bottom. 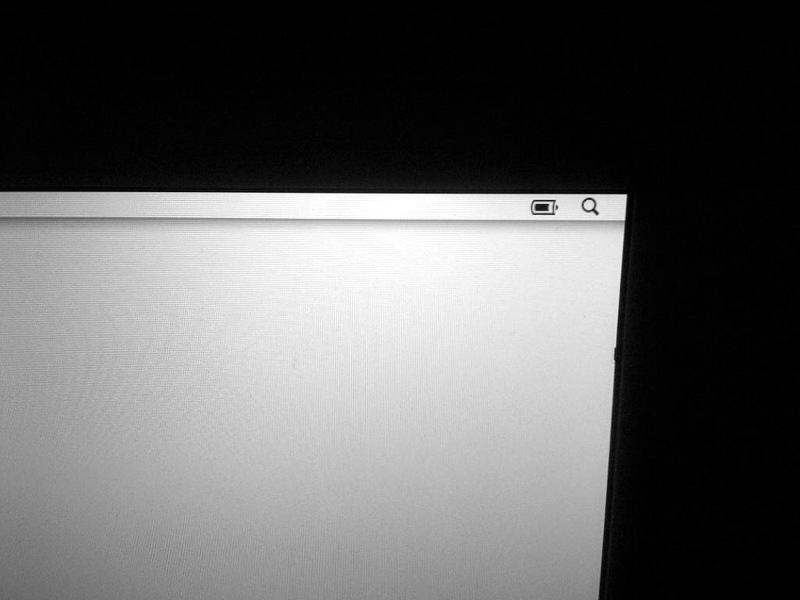 I then cleared my menu bar of everything except battery and Spotlight (photo below). I even removed the clock so I can get lost in writing without constantly glancing at the time. If I really need to know the time, I can press F4 and it pops up with the dashboard. Obviously you needn’t jettison everything like I did, but couldn’t we all benefit from taking ten minutes to get rid of the excess junk cluttering our desktops? 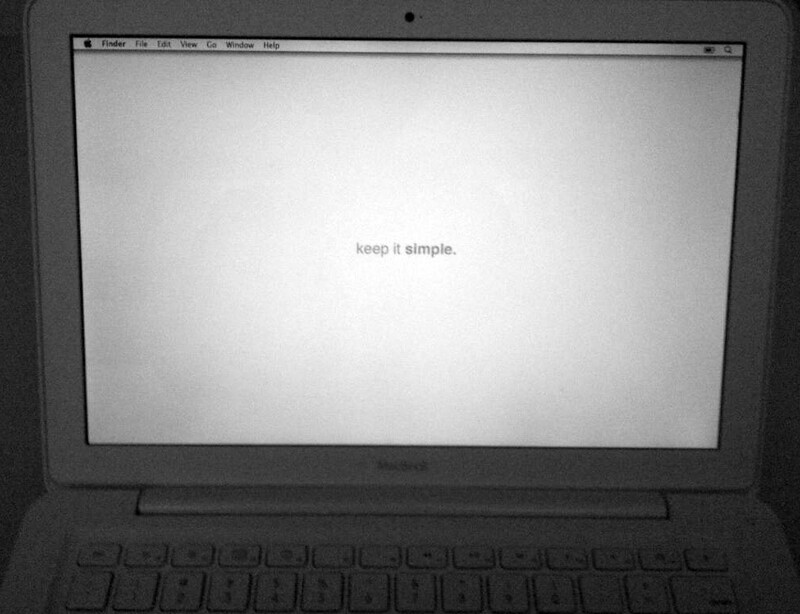 And if you want the keep it simple desktop background, you can download it for free here.